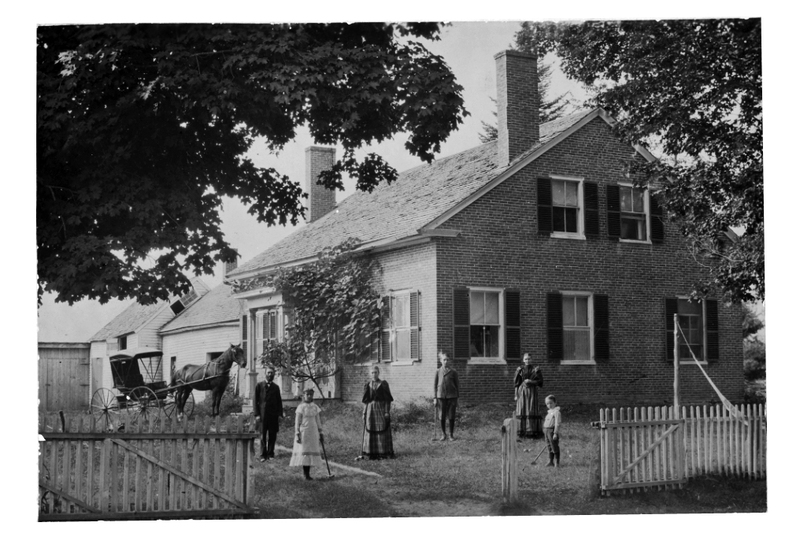 Last week, while digitizing the Elm Street photographs, I came across this image of the Reverend Nathan Round Nichols and his family playing a game of croquet on the lawn of their home which at the time was the Norwich Congregational Church parsonage. On the back of the photo, the family members are identified as, from left to right, the Reverend Nathan Round Nichols, Mary Harriet Nichols (Lufbery), Frances Elisabeth Nichols, Herbert Nathan Nichols, Mrs. Frances Harriet Leach Nichols, and Andrew Leach Nichols. It also states that Rev. Nichols served as minister for 27 years at the Norwich Congregational Church, starting in 1880, including the time of the 1889 revival, when the church gained 96 new members. 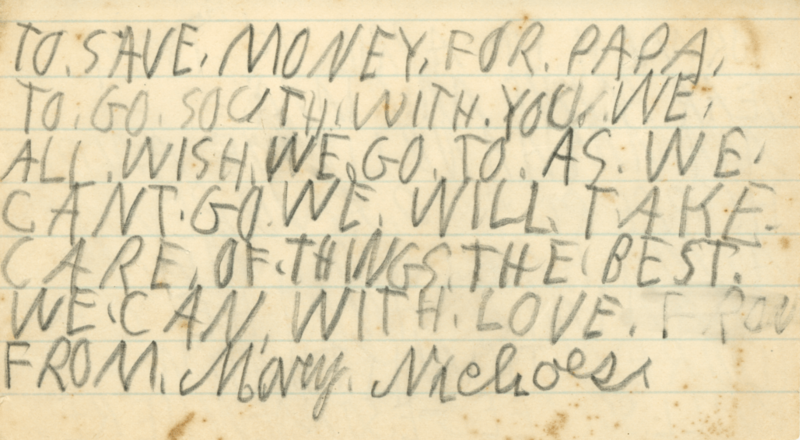 Wanting to learn more about this family, I found the Historical Society’s Nichols family file. 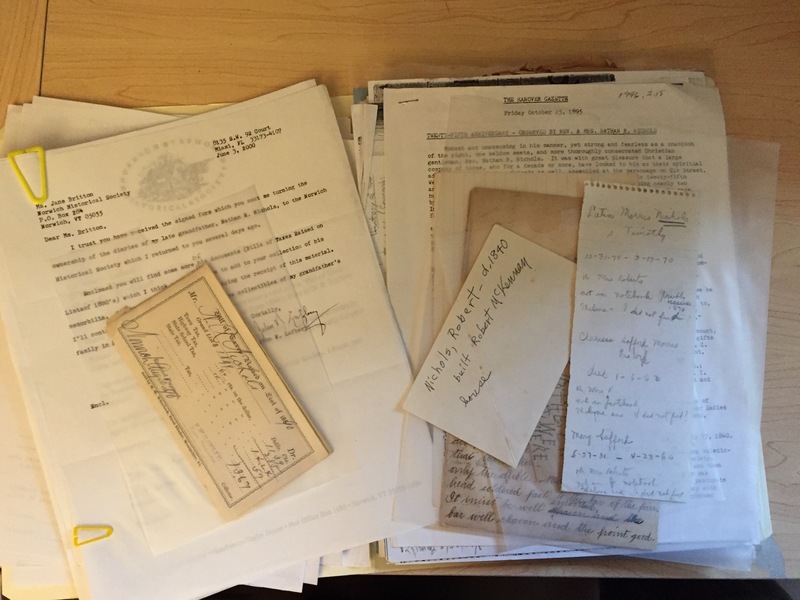 As I started to read through the documents inside, I recognized many of the names from the photo. 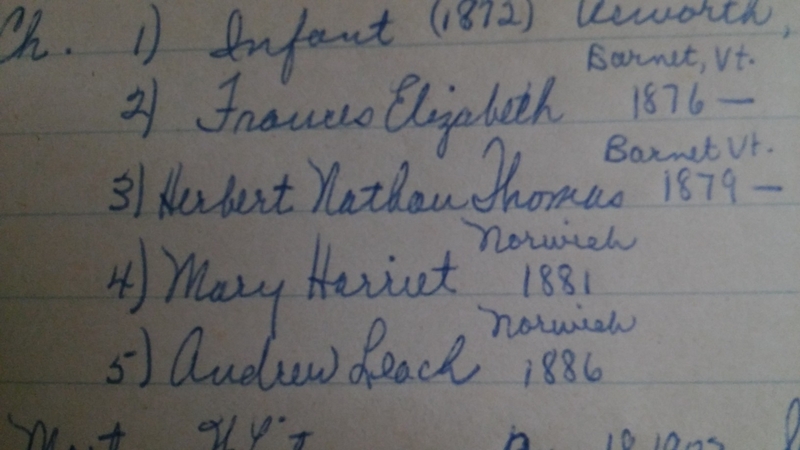 I was able to find this list of the children that included their years of birth, and based on this information I would guess that the photo of the croquet game dates to the early 1890s. 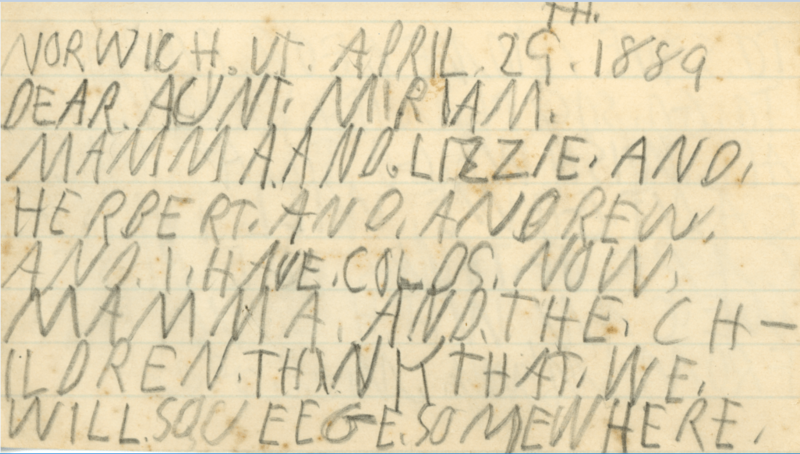 However, the best glimpse into the daily life of this Norwich family is this note, written by Mary to her aunt, at around the age of eight in 1889, in which she talks about how she and her mother and siblings have colds. It is fascinating to get such a personal look at Norwich such a long time ago. 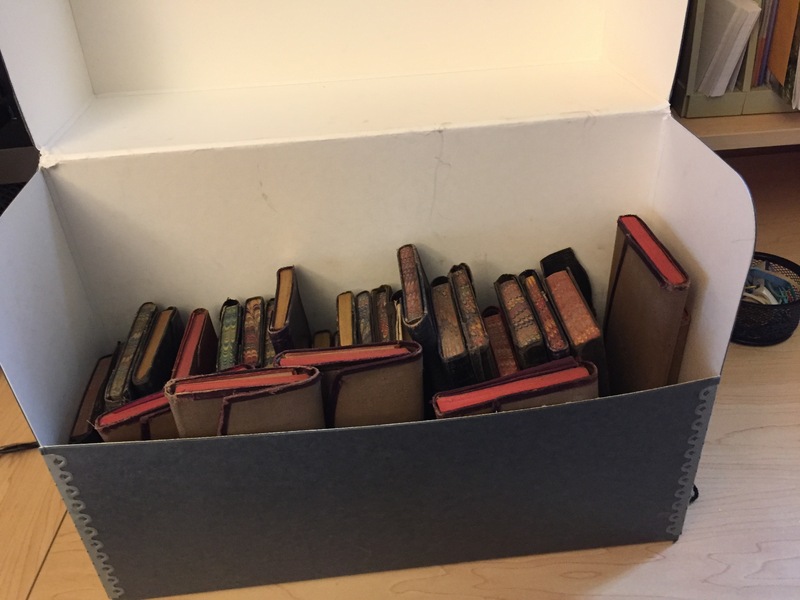 The Historical Society has 63 diaries recorded by Reverend Nichols dating from 1865 – 1929. They reveal even more personal stories of Norwich families as they celebrated births and marriages and mourned at funerals. 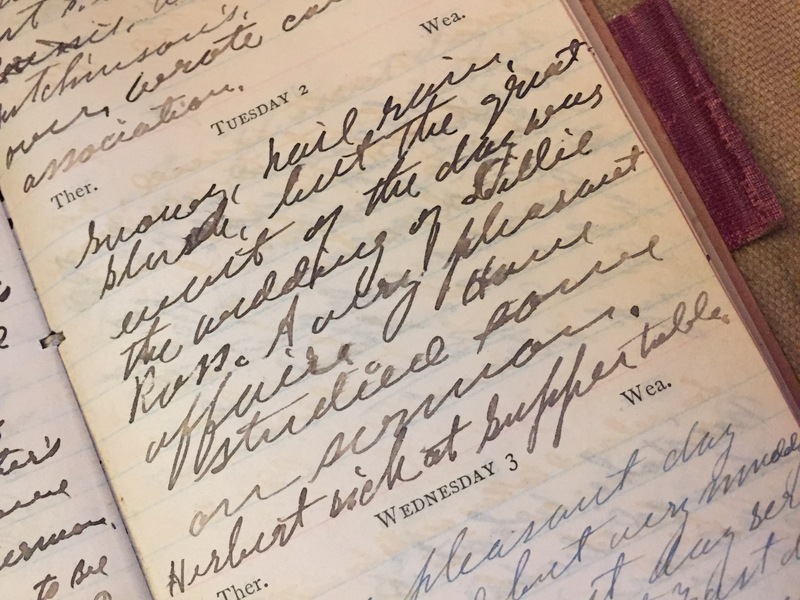 We can guess that the croquet photo was not taken on May 2, 1889!